SwingLean’s focus on fast, effective, efficient, safe and fun workouts for maximum weight loss, strength, endurance, overall work capacity and fitness. 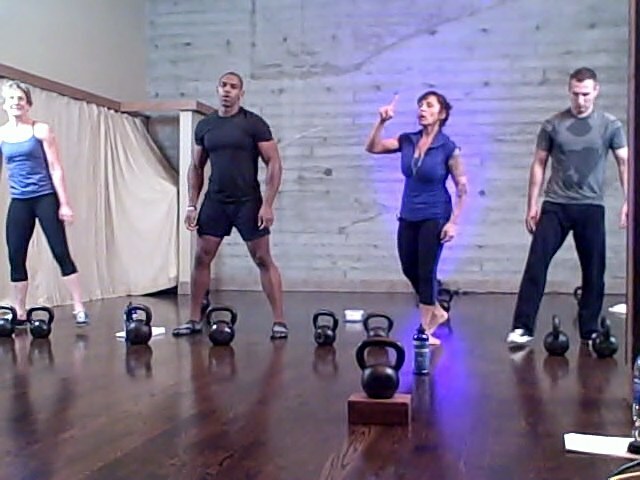 SwingLean teaches Instructors how to lead a full 30 minute workout using only the swing, the most effective kettlebell movement of them all! SwingLean’s routines are designed to be scalable to all levels of students, from beginners to advanced making it perfectly suitable for a group class structure, as well as for the private client. 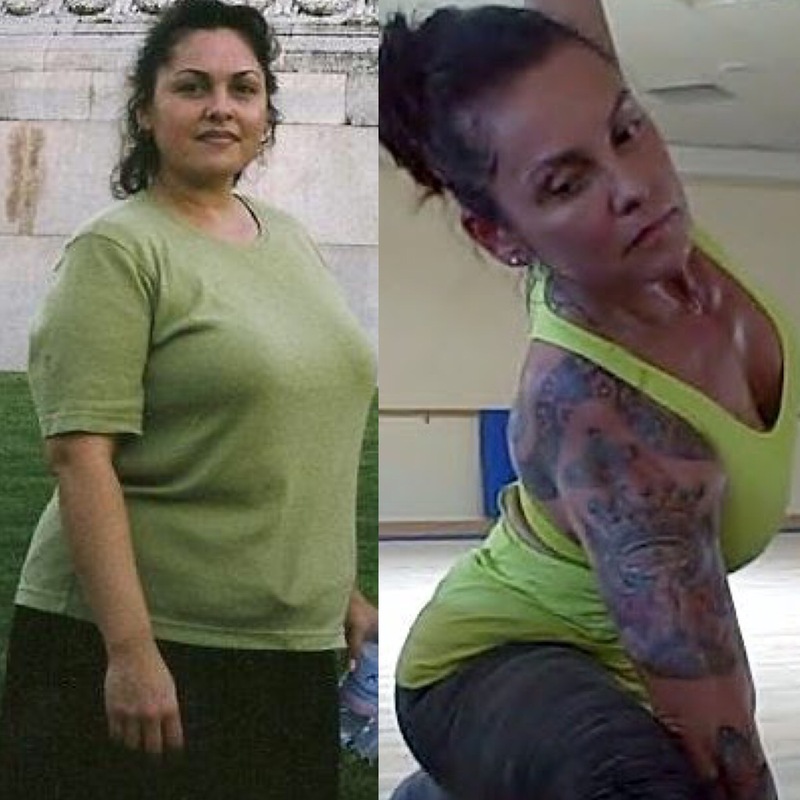 Successfully losing 120lbs (100 in 11 months), crediting kettlebells for a large part of her transformation, Tracy’s story was first published in Tim Ferriss’s New York Times Best Seller “The Four Hour Body”. Tracy Reifkind is the author of her own book, “The Swing, Lose the Fat and Get Fit” (Harper One 2012), as well as producing 8 kettlebell swing workout DVD’s and offers an online weekly workout subscription membership service. Since 2006 Tracy has trained for and earned many certifications including both RKC and SFG. To this day Tracy is the only female to choose and successfully pass her testing requirement of 100 snatches in 5 minutes during a Instructor Certification Course! Tracy’s husband Mark, of 29 years, spent many of the last 8 years as a Master Instructor for RKC, SMK, and SFG, also writing and starring with Tracy in their best selling instructional DVD, “Mastering the Hardstyle Swing”. Tracy’s transformation started in January, 2005, after a lifetime of “struggling with her weight”, at 41 years old she stepped on the scale at 254lbs. Although naturally athletic most of her life, she succumbed to the pitfalls of convenient foods and a busy lifestyle, finally realizing she wasn’t getting any younger or getting any healthier. Taking full responsibility for her situation she started by cooking and preparing all foods and meals herself at home. No more eating out, ever! Starting out at over 250lbs, her exercise program consisted of the only thing she felt she could do safely, walking. Five days a week she walked 2 miles, on the sixth she doubled the distance to 4 miles, resting on the 7th. Walking was the bridge that connected her back to her body and helped to reestablish a base level of fitness. Realizing she also needed resistance training, after three months of walking Tracy also started swinging the kettlebell for two short sessions per week, and that’s when the real transformation began! Tracy credits kettlebell training with the incredible muscular development and tone she now has. She believes, without a doubt, that it was also the reason she never hit a plateau during her weight loss, incredibly losing 100 of those pounds in 11 months time! A total of 120lbs, now 11 years later (2017), Tracy describes her weight loss as “permanence”, not “maintenance”! No need to rely entirely on discipline, it’s her kettle bell training that constantly inspires the motivation needed to make exercising consistently a priority. Looking at her now, no one would never guess that she once weighed over 250 pounds! You can read Tracy’s complete story in her book, The Swing! 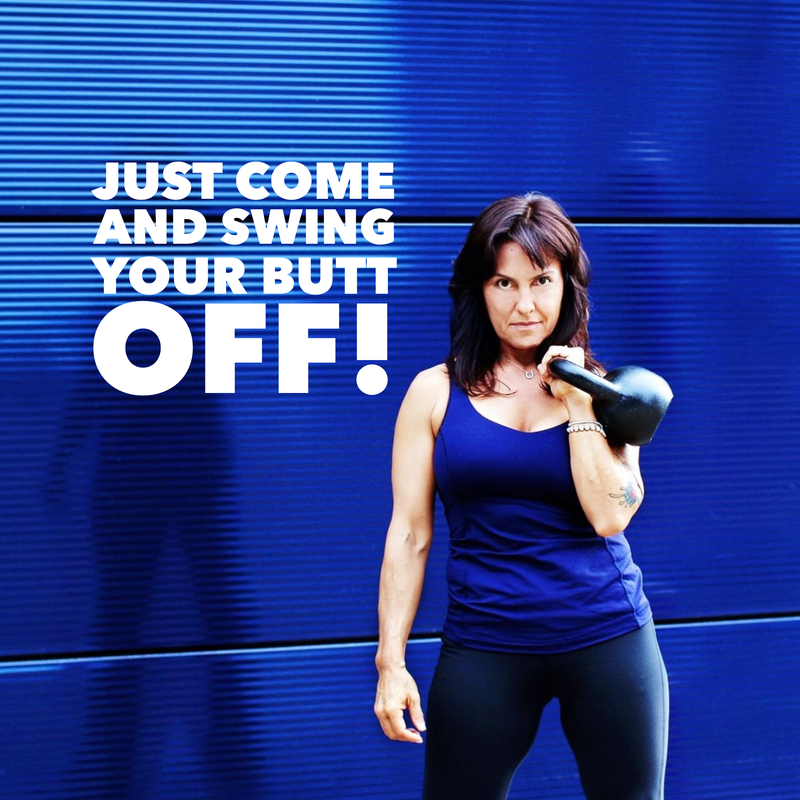 If you are interested in inviting her to help promote an event at your gym or business, Tracy travels the country as well as internationally teaching her SwingLean system and is a motivational speaker, giving talks and lectures about permanent weight loss. Also available for Skype of phone consolations, but if you are in Northern California you can join her for one of her classes, semi private groups, or a one on one session. I’m in Sunnyvale, and want to attend one of your beginners group classes. Do you have any in the near future? Please advise. I hope to start a Tuesday morning 9:30am class at San Jose Barbell next month (April). It’ll be a 4 week beginners group and I’ll be updating my schedule here on the website soon 🙂 Thank you for asking, and I hope to be teaching you how to swing soon!